This code for checking Ecobank account balance is not new anyway. 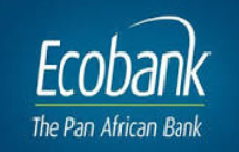 I just want to share it for those Ecobank customers who are not aware of it before. So, you are an Ecobank customer? you can comfortable check your account balance without going to the bank or looking for the nearest ATM post terminal to check your balance. With a simple USSD code send through your mobile phone, you will receive your account balance. Here is the Ecobank code for checking your bank account balance. You can also check your GTBank account Balance using this format. Please remember to click on the share button.